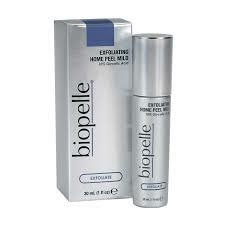 Helps to plump the under-eye area as it strengthens the capillaries to reduce future und-ereye darkness. Dark Circle Relief Cream tightens the skin to reduce the appearance of shadows and has light-reflecting minerals to reduce the transparency of the skin. Features a 10% concentration of glycolic acid designed to remove surface impurities and dead shin to reveal a radiant and more even complexion. its lightweight gel formula is suitable for sensitive skin types and may be used daily to minimize the appearance of fine lines, wrinkles and hyperpigmentation. This product penetrates deep into your skin to remove impurities and restore youthful radiance to dull and environmentally damaged complexions. 20% glycolic acid smoothes away age spots, fine lines and wrinkles as it boosts cell turnover and improves skin's overall tone. Your skin is left looking more youthful and radiant with soft and supple texture. Features an advanced biorepair complex to significantly reduce and prevent the visible signs of aging. SCA growth factors, derived from snail secretions, dramatically regenerates skin tissue by stimulating youthful cell growth to smooth wrinkles, boost collagen and elastin and maintain moisture levels. Prescribed dosage of the individual ampoules shows results in as little as 7 days. Biopelle Tensage Serum blends growth factors with antioxidants, moisturizers and brightening agents to decrease sun damage and make your skin look younger and glow brighter than ever before.